Obama-toons … ISIS … a new strategy? Captain Rick: The Senate and House passed a short-term spending bill that prevented a government shutdown at the end of the week. It has White House backing. Fights over raising the debt limit broke out between the Obama White House and ruling Republicans in Congress in 2011 and 2013, unsettling Wall Street and foreign investors. The two sides struck a deal in 2015 to suspend the debt limit until Obama left office. The federal debt limit has been suspended since late 2015, but the law is set to be reinstated on March 16, 2017. The current debt limit of $20.1 trillion will be breached and another funding emergency will be at hand to prevent another U.S. government shutdown. Government shutdowns in the past have become a ‘joke’ in that certain federal employees are told to stay home without pay, until Congress passed legislation to fund the government, which often included increasing the national debt and awarded compensation for all lost pay … meaning their time off was really an extra paid vacation; an insult to hard working employees of ‘Main Street’ America. The ‘Shutdown Game’ can not continue much longer because America is coming ever so close to falling off of the real and pending ‘Fiscal Cliff’. Many federal programs like Obamacare, Medicaid, Medicare and even Social Security are projected to implode in coming years without serious spending/taxation reform. The U.S. National Debt has more than doubled since President Obama took office; from $9 trillion to $19.5 today. It is exploding at rate of $1.35 trillion each year. More than $10 trillion of ‘red ink debt dollars’ have been spent to keep the federal government functioning during the Obama Administration. About 15% of money spent by the federal government has no revenue to support the expenditure and thus adds to the national debt. Much of this debt spending goes to states and cities in the form of federal grants. Our states and cities ‘drink up’ the grants like it is ‘free money coming from heaven’. Their philosophy is ‘if we don’t get the grant, some other city or state will’. What an awesomely greedy and fiscally reckless way to think. Shame on every city and state in America for slurping up these slush grants which add to the mushrooming U.S. National Debt. Our cities and states are a main contributors to the growing problem of America’s National Debt … debt which will be placed upon future generations to pay back … including our children and grand children. It’s a serious matter to think about. I hope the next President and Congress will begin to balance the budget and curtail deficit spending. Saving America from falling off of the real and pending ‘Fiscal Cliff’, will not be easy. It will require ‘belt tightening’ by people, cities and states across America and most importantly by the U.S. Federal Government and our elected representatives in the U.S. Congress. 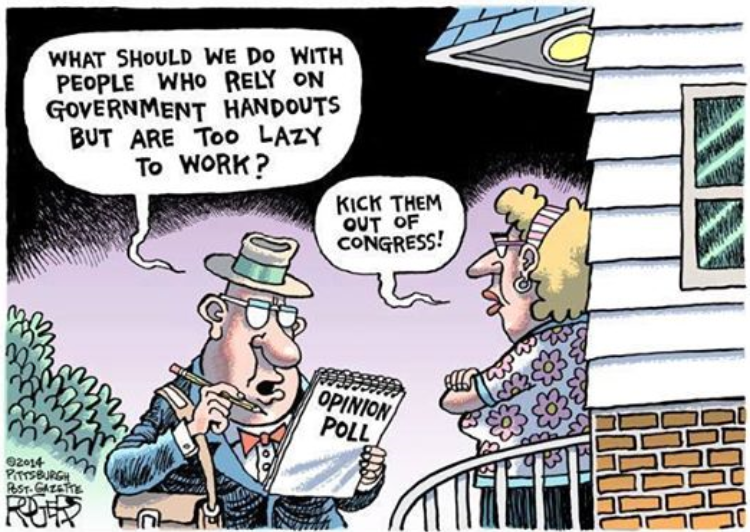 What should we do with people who rely on gov’t handouts … but are too lazy to work? Captain Rick: What should we do with people who rely on government handouts, but are too lazy to work? This cartoon sums it up perfectly. Kick them out of Congress. It is no secret that the majority in the U.S. Congress are very lazy and accomplish basically nothing of any benefit for the people in exchange for a very wealthy salary and benefits. I read today that the current US Congress is even more ‘do nothing’ than the record ‘do nothing Congress’ during the President Truman days in the 1940s. Perhaps Obama will go on record with Truman as being the two most ‘do nothing’ presidents (both Democrats) in the past 100 years. I should clarify that…Truman did achieve great destruction overseas. He gave the approval to drop the nuclear bombs on Japan. I have to agree with the cartoon…’Kick them out of Congress’. But then…we are still left with a ‘do nothing’ president…except for his countless ‘executive actions’ which serve his personal agenda at the expense of escalating the US National Debt. For lots of great topics … check the ‘Categories’ list and cloud in the left hand column. 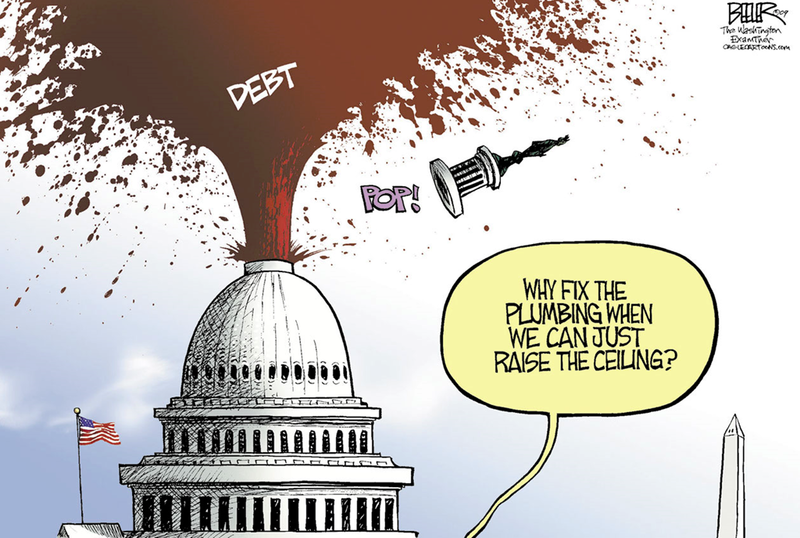 Captain Rick: The U.S. Senate gave its approval to raise the nation’s debt ceiling to $17.2 Trillion, allowing the government to continue spending like ‘drunkards’ by borrowing more money to pay its bills through March 2015. The politically charged issue cleared the chamber 55-43 after winning House approval Tuesday. The measure now goes to ‘debt loving’ President Barack Obama for his guaranteed signature. Approval removes the prospect of another protracted political fight over fiscal policy as Democrats and Republicans gear up for November’s midterm elections. How politically convenient is this? It was a ‘clean’ bill…meaning there were no strings attached that would mandate new spending cuts. It gives approval to continue spending like ‘there is no tomorrow’. Our representatives in DC have kicked America’s ‘debt can’ down the road again for the N’th time. How much farther can it be kicked? I suspect…not much. Captain Rick: The rollout of the ObamaCare website ‘Healthcare.gov’ was a fiasco. The look on the face of Secretary Sebelius as she receives a a copy of ‘Web Sites for Dummies’ is ‘priceless’ and speaks for itself. 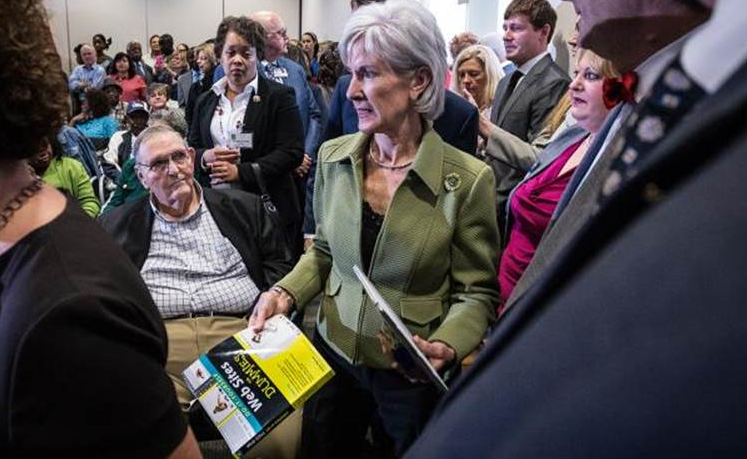 The book was a gift from GOP Tennessee Senator Brian Kelsey, an opponent of ObamaCare’s Medicaid expansion, who was on hand when Sebelius visited a Memphis library on November 4, 2013 to promote the new national health plan. When Kelsey sprung the gift on her, the embattled HHS secretary didn’t look particularly grateful, as revealed in a photo snapped by the Memphis Daily News. At the event, Sibelius continued her apology tour for the botched site – while vowing to fix it. According to estimates, the feds have spent $630 million on information technology for the creation and rollout of Healthcare.gov, which has been beset with problems and shut down repeatedly. Captain Rick: A shutdown of the U.S. Government will most likely begin on October 1, 2013, the beginning of the new fiscal year. There is currently no budget agreement to fund the U.S. Government for the coming year. The Democrat led Senate and the the Republican led House are in a stalemate that does not appear likely will be rectified by October 1. The real showdown will come on or before October 17, when the U.S. Government reaches the debt ceiling of $16.699 trillion and will begin defaulting on its financial obligations, an event that has never before occurred. The last threat of shutdown occurred on March 27, 2013. It was averted by an agreement to allow Sequester spending cut’s (part of the ‘Fiscal Cliff’ legislation that became effective on January 1, 2013) to gain some flexibility regarding where to make spending cuts, in lieu of the mandatory across the board cuts. U.S. Government Shutdown … What will happen? Non essential elements of the government will begin shutting down. These are things like National Parks and Monuments and the federal employees and contractors that support them. The employees would be furloughed. Contractors would have their payments delayed. At no time in the past has a shutdown lasted for more than a month. In every case the contractors eventually got paid and the furloughed employees were awarded back pay, so in essence, they received a nice long paid vacation, compliments of the U.S. taxpayers. In every previous case of shutdown, it ended up costing tax payers more than if the government had remained open. What does a shutdown accomplish? Nothing, except increased cost. It is however, a necessary reminder that our government needs spending to remain less than revenue. In reality the U.S. has been spending far more than it receives in revenue, especially in recent years. Who is to blame? First and foremost to blame is President Obama. He is our president, elected to lead our nation in a positive direction…yet he has demonstrated the most reckless spending in American history, especially with his Fed’s continuation of pumping $85 billion per month of ‘Quantitative Easing’ debt dollars into the American Economy (adding directly to the U.S. National Debt) in an effort to make an economically sick nation look just anemic. It is all ‘smoke and mirrors’ that is doing nothing more than increasing America’s debt at an astronomic expense and burden to future generations. Second to blame is the entire U.S. Legislature, including the Senate and House, Republicans and Democrats. None of them impress me as having the intelligence or ability to agree on a plan to withdraw America from its insatiable addiction for debt spending far beyond its revenue. I believe most of them have their ‘pockets’ fed by ‘big money’. Reality Check. What really happened: This was one of the most disgusting, fear-causing set of statements I have heard President Obama make recently. What really happened is that the House sent a bill to the Senate that included defunding Obamacare (a program with an enormous cost that America can not afford at this time of financial crisis). The Senate revised the bill to remove the Obamacare defunding and sent it back to the House. In opposition to Obama’s statement, I believe the Senate did not act responsibly. If the House does not pass the bill on Monday (which it should not), it will not be the House that causes the shutdown as Obama warns. It will be the result of the failure of the President and the entire U.S. Legislature combined. Obama said that a shutdown will stop many vital services. This is not true, unless the shutdown lasted for a long period of time…or Obama chooses to focus on certain entities for political gain. Obama’s scare tactics of asking Republicans to ‘think of who they are hurting’ by the government shutdown are absolutely despicable. President Obama should ask himself who he is hurting by spreading such fear and lies. This shutdown does throw a ‘wrench’ into Obamas ‘gears’ to make the economy look ok, when it is really sucking badly. Obama is fixated on Obamacare, a mark he hopes the world will remember him by. He will push it, even if it contributes to the financial destruction of America. In reality, 40 million Americans are going to find out that ‘affordable health care’ is not really affordable and the majority of them will pay (or evade) the penalty to avoid it. The resultant unexpected, massive costs will lie firmly on the backs of American tax payers and add directly to the U.S. national debt. I have this on my list of future blog reports. It sounds to me like Obama is running scared and is choosing to hide his fear by casting false fear on Americans. That scares me. Does it scare you? View the comments (below) for ongoing updates of important happenings at the U.S. Capitol concerning this unfolding story. I have done my very best to chronicle the events that contributed to this first U.S. government shutdown in nearly 18 years…as displayed in my comment updates below. This report could be among the best chronicles on the web. I am honored that Google and other search engines have picked up on this report. The views for this report have exceeded those of all other ANJ reports by a factor of 10X+. The view stats from the past week far surpass any previous week. It tells me that there are lots of people that are tuning into this blog post to get the real facts…not the hype found on virtually all web news sites and especially TV news casts. 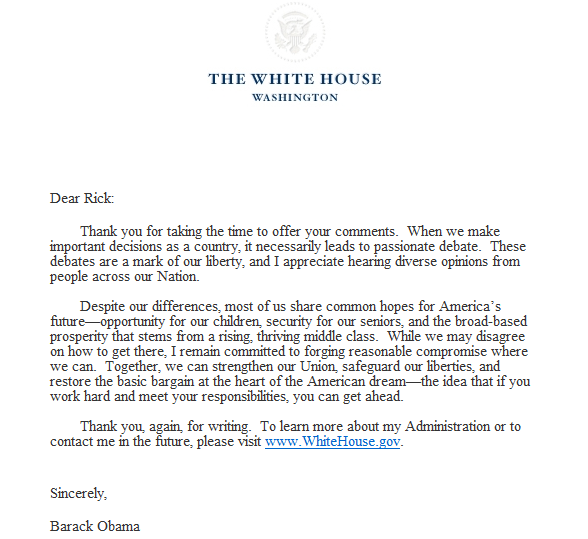 Captain Rick: I received this email from President Obama in response to my email to him suggesting we hire Walmart to fix America’s broken programs and economy. I appreciate your words of thanks and welcome of hearing diverse opinion. Yes, we do have differences…major ones! I agree that most of us do share common hopes for America’s future. I agree to disagree on how to get there. I believe our current path is a road to fiscal destruction of America…one that will render America as a third world nation. I think you are living in a cloud of a ‘pipe dream’ with your words of an ‘American Dream’. As I see it the ‘American Dream’ is dead and you helped kill it! Captain Rick: Walmart, the world’s largest corporation turns everything it touches into gold, whereas the U.S. government has succeeded in breaking almost every good program created … and the U.S. economy. I suggest we hire Walmart to fix the mess that our President and Legislature have demonstrated they are totally incapable of accomplishing. a. The U.S. Postal Service was established in 1775. You have had 238 years to get it right and it is broke. b. Social Security was established in 1935. You have had 78 years to get it right and it is broke. c. Fannie Mae was established in 1938. You have had 75 years to get it right and it is broke. d. War on Poverty started in 1964. You have had 49 years to get it right; $1 trillion of our money is confiscated each year and transferred to “the poor” and they only want more…and it is broke. e. Medicare and Medicaid were established in 1965. You have had 48 years to get it right and they are broke. f. Freddie Mac was established in 1970. You have had 43 years to get it right and it is broke. g. The Department of Energy was created in 1977 to lessen our dependence on foreign oil. It has ballooned to 16,000 employees with a budget of $24 billion a year and we import more oil than ever before. You had 36 years to get it right and it is an abysmal failure…and it is broke. You have failed to fix any of the many government service failures, while overspending our tax dollars to drive America $17 trillion into debt, an amount exceeding the combined debt of all other nations on earth. AND YOU WANT AMERICANS TO BELIEVE YOU CAN BE TRUSTED WITH A GOVERNMENT-RUN HEALTH CARE SYSTEM? Lets pause and examine an American corporation that has a track record of turning everything it touches into gold. Walmart was founded by Sam Walton in 1962…when I was in high school, just before the birth of Medicare and Medicaid. Since then the Walton family transformed it into the world’s largest corporation with $469 Billion in revenue, 8500 stores in 15 countries with 2,200,000 employees. If Walmart were a country it would have the world’s 26th largest GDP…but more importantly, it would be the world’s most profitable country…unlike the U.S. which goes $1 Trillion farther into debt each year, with all of its programs on ‘death row’. I love my country and hate to see you and our legislature destroying it. 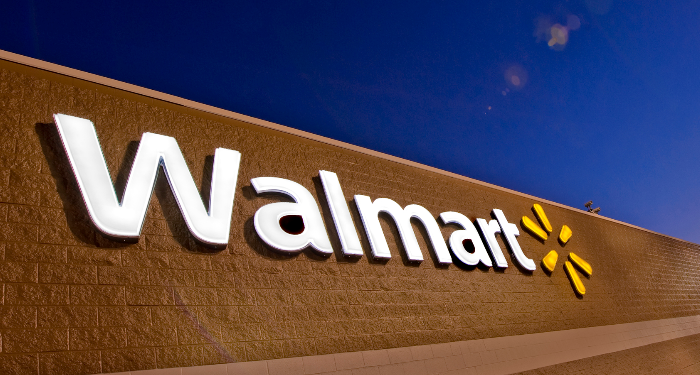 With all sincerity, I respectfully urge you to consider hiring Walmart to manage America’s failing economy and programs. But, I think that if that were to happen, the Walton’s would fire you and most of the legislature.